Details of Walter Renny’s birth date and place have not been determined. 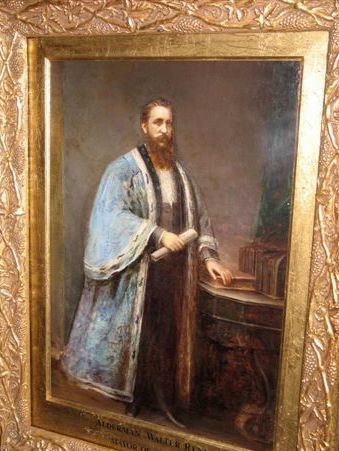 He may have been connected to James and Edward Rennie of Balmain. 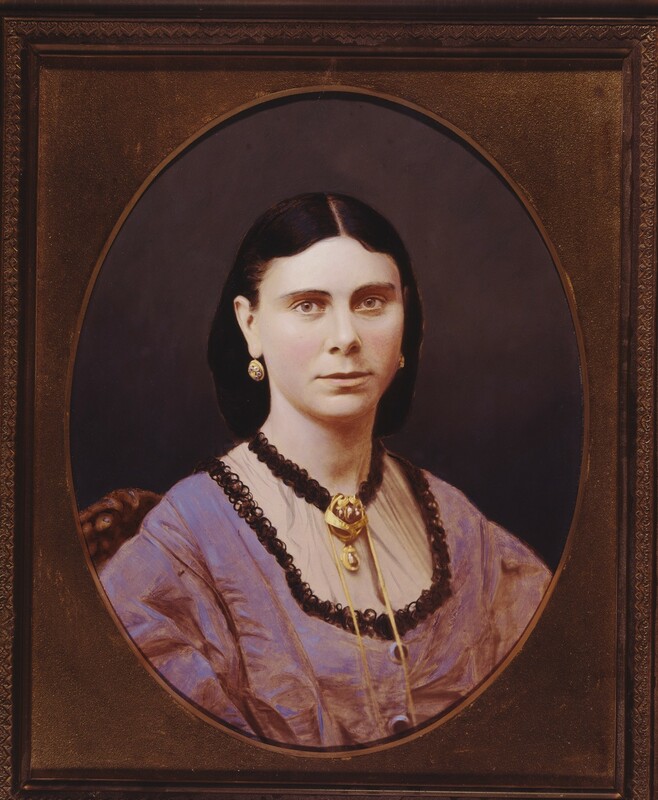 He married Mary Ann White at Balmain in 1857; no children have been identified. He spent his later years living with his sister in William Street. He died in London on 24 January 1878. In 1858, Walter Renny, painter, had premises at 380 Brougham Street. From 1863 he was a painter and paperhanger at 170 Pitt Street. In 1867 he offered samples of imitation stained glass to Henry Parkes. In 1873 his business was described as an oil, colour, glass, and paper-hanging warehouse. The flamboyant painter advertised his decorative skills by painting blocks of blue and white on his premises near the corner of Pitt and King Streets. This establishment became famous as the Blue House and earned him the nickname of Royal Blue Renny. In 1868, Strathfieldsaye was built for him at Burwood, the name inspired by the Duke of Wellington’s English home. 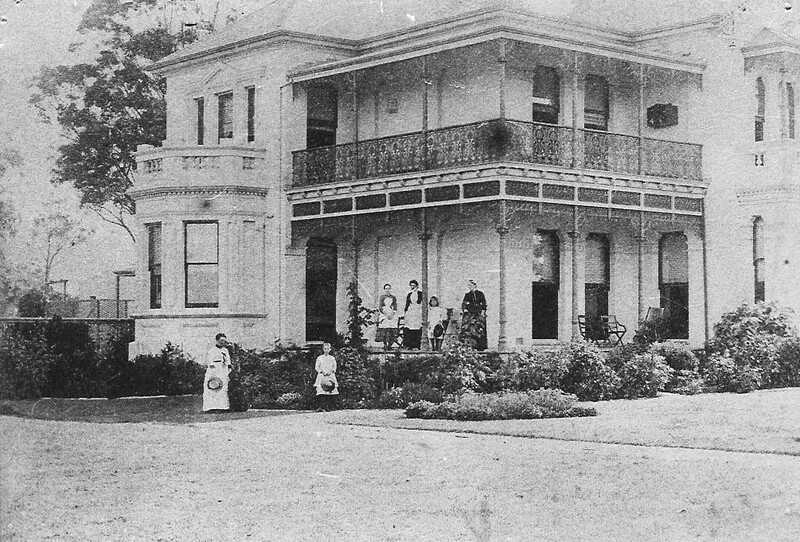 It was later known as Strathfield House and the name was adopted for the new Municipality of Strathfield on 2 June 1885. He is also remembered by a pair of sandstone gateposts at the Bridge Street entrance to Macquarie Place Park and two drinking fountains in Moore Park and Argyle Place. Walter Renny was Alderman for Bourke Ward, 1 December 1863 to 30 November 1865 and 1 December 1866 to 30 November 1870. 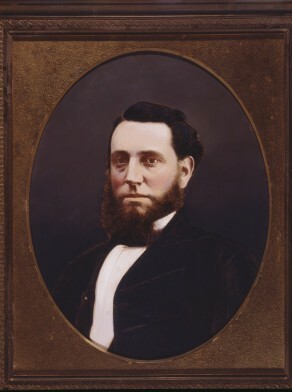 Renny was Mayor in 1869-70. During his mayoralty, Prince Alfred, Duke of Edinburgh, was entertained by Sydney Council at a specially erected pavilion in Hyde Park.